Girls love to shop and having a birthday party at the mall is just plain heaven to many young ladies. There are many advantages to throwing your teen daughter's birthday party at the mall. The venue is taken care of and you don't need to clean the house! Food and drinks are quickly taken care of at the food court. Teen girls can keep themselves busy for hours at the mall. The thing that you do need to be aware of is your budget! It can be very easy to rack up the costs at the mall. Keep your budget in mind and think about narrowing the guest list to fewer than 10 teenage girls so costs are manageable. While this themed birthday party is very easy to host, here are some tips and ideas that will help you make it a great day for your daughter. The job of getting the entire party to the mall will probably be your biggest challenge. Unless you have a large van, it may simply be easier to have parents drop their teens off at the mall. Include any instructions needed in your invitation. This could be the place in the parking lot or the mall entrance where you will meet the girls or ideas for creating a carpool. It is best to have your car nearby so you can stash the presents. This will keep them out of the way of the shopping fun! Use your parenting intuition to decide if the teens are old enough to wander the mall alone or if chaperones will be needed. Consider the size of the mall as well. Letting a group of young girls run free without supervision in the Mall of America may not be the best idea! If you need help, call a few of the invited teen's parents and ask them to join you as a chaperone. They may even be willing to help you with that carpooling issue as well. Instead of just letting a group of girls run wild in the mall, give them a purpose and a game to play. Give every girl $5 or $10 in cash or a mall gift certificate and establish the rules and time limit. The one who buys the most with the money wins (it is a great lesson in budgeting though they will never know it!). You might also choose a theme like the weirdest or longest thing. Divide the girls into teams. Give each team a list of things to find in the mall, set a time limit and a place to meet. Use a pen and paper to let the girls record their findings or have them snap photos on their phone (if at least one team member has one). The team that returns to the meeting place first (make sure a chaperone stays there) wins. 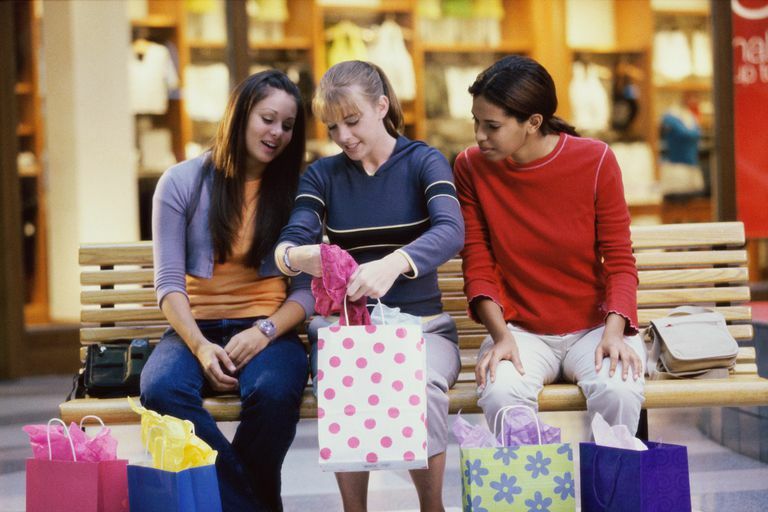 Take advantage of the unique services and attractions that your local mall offers to plan other fun activities for the birthday party. Set up appointments for makeovers at one of the make-up counters. Schedule a group manicure or pedicure time. Buy group tickets for any rides or attractions inside the mall. Once the games are done, bring the girls to the food court for food and treats. Use this opportunity to bring out the gifts and let the birthday girl open them up in front of friends. Hit the pizza place or your daughter's favorite food court stop. Treat the party to the ice cream parlor or candy store.